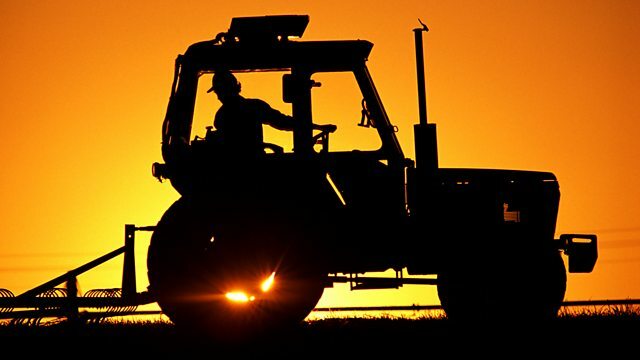 BBC Radio 4 - Farming Today, George Eustice resigns, the Red Tractor logo and a 'flying flock' of sheep! A new report finds the Red Tractor farm assurance scheme is a world leader... but not on animal welfare standards. Caz Graham hears reaction to the resignation of Farming Minister, George Eustice. He'd been a Minister of State for Agriculture, Fisheries and Food since May 2015 and was something of a rarity in the ranks at DEFRA as a minister who actually came from a farming family. A report commissioned by Red Tractor finds it's one of the best farm assurance schemes in the world. But does it do enough on animal welfare, and do consumers really know what it means? We hear from Red Tractor and Compassion in World Farming. And why is a 'flying' flock of sheep travelling around Scotland?! Our reporter meets the shepherdess using sheep for conservation.